Mr. Hořejš performs a one-man show of Czech fairy tales (in English) replete with kings, clever village maidens, witches and spirits. 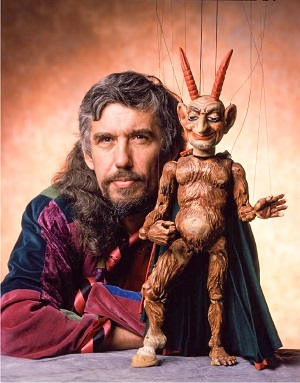 His marionettes speak in dozen voices, dance, play violin, swim and fly. 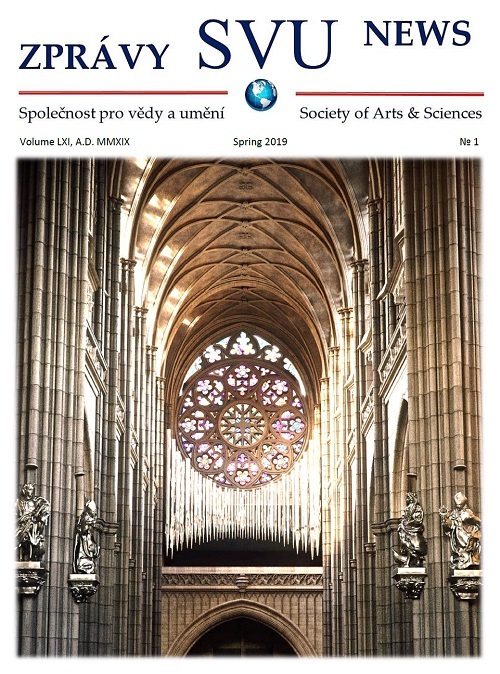 The program will be composed of favorite Czech and Slovak fairy tales such as “Salt over Gold” (a Princess who values her father “only” as much as salt, is banished, but returns to save her father when salt disappears), “The Stingy Tailor” (a proud and stingy tailor is taught a lesson by the water spirit “Vodnik”) and “Kacha and the Devil” (a shepherd outwits the devil who is pursued by a dance-loving shrew). Vít Hořejš came to New York from Prague, Czechoslovakia in 1979, and has since performed at venues such as the Metropolitan Museum, Cooper Hewitt Museum, the Smithsonian, and on tour throughout the United States, Canada, Czech Republic, France, Switzerland, Italy, Belgium, Luxembourg, Monaco, Hong Kong, Poland, Taiwan, Singapore, and Malaysia. In New York he also performed in Shakespeare plays and in experimental performances, including L-Train to Eldorado at Brooklyn Academy of Music’s Next Wave Festival, in Kestutis Nakas’ When Lithuania Ruled the World at Anthology Film Archives, and as Krojack in Woody Allen’s film Don’t Drink the Water. 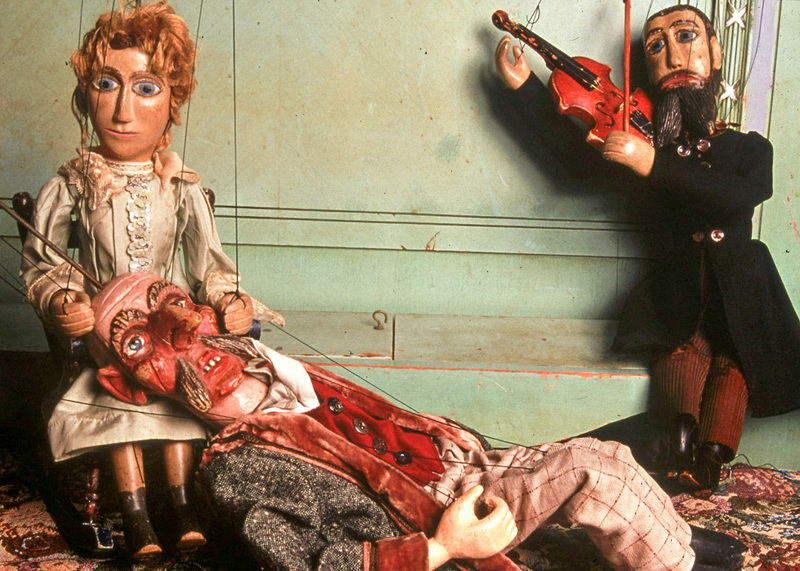 His discovery of the antique marionettes at Jan Hus Church inspired him to found The Czechoslovak-American Marionette Theatre with which he staged such mainstays of the eighteenth-century marionette stage, as Johannes Dokchtor Faust, A Petrifying Puppet Comedye; The White Doe, Or the Piteous Trybulations of Sufferyng Countess Jenovefa and Don Juan, or The Wages of Debauchery, as well as less traditional performances mixing live performers and marionettes such as Rusalka, the Little Rivermaid, a puppet opera; Hamlet with 5 performers and 60 marionettes at the Vineyard Theatre, at International Festivals in Bursa Turkey; Busan, Korea; and the Shakespeare Festival outdoors at the Prague Castle; Twelve Iron Sandals, a site-specific performance piece that moved through all the floors of the decrepit splendor of the Bohemian National Hall in New York, before it was acquired and renovated by the Czech Republic. Puppet-and-dance piece Golem played to sold-our houses at New York City’s legendary La MaMa Theatre, and was featured in the 4th Jim Henson International Puppet Festival in New York. Also at La MaMa, where CAMT is now a resident company: The New World Symphony: Dvořák in America, The Twelfth Night; The Life and Times of Lee Harvey Oswald; The Prose of the Transiberian and of the Little Joan of France; The Republic, or, My Dinner with Socrates, and A Christmas Carol, OY! Hanukkah, Merry Kwanzaa. Other works for New York seasons and tours include The Very Sad Story of Ethel & Julius, Lovers and Spyes, and about Their Untymelie End while Sitting in a Small Room at the Correctional Facility in Ossining, N.Y.; The Bass Saxophone, an adaptation of Josef Škorecký’s story, performed inside the Brooklyn’s Grand Army Plaza Memorial Arch; The Historye of Queen Ester, King Ahasverus and the Haughty Haman; Mr. M (Mr. Mundstock’s Travails; Revolution!? ; and King Executioner (based on Tadeusz Nowak’s novel A Jak Królem a Jak Katem Będziesz). Vít’s book TWELVE IRON SANDALS, and other Czechoslovak Tales (Prentice‑Hall, 1985) was chosen as one of the best children’s books of the year by the New York Public Library. A collection of his original stories, PIG AND BEAR, was published by Four Winds Press/Macmillan in 1989 and in a Dutch translation in 1990. He wrote a lead essay, and edited the book The Czechoslovak-American Puppetry, published by GOH Productions. Books and storytelling tapes by Mr. Hořejš (Twelve Iron Sandals and Other Czechoslovak Tales and The Fisherman’s Clever Daughter and Other Czechoslovak Tales, accompanied by legendary Czech guitar player Radim Hladík, New York City: GOH Productions, 1991), can be ordered from GOH Productions, 239 East 5th St. Suite 1-D, New York NY 10003, Tel: (212) 777-3891, Fax: (212) 529-0939. GOH Productions, the sponsor of Mr. Hořejš’s performances, is a non-profit multi-discipline arts organization. The Japanese word GOH means “united effort” or “working under one roof,” and GOH Productions brings together artists from many backgrounds and countries, ranging from Eastern Europe to Eastern Asia. Faust on a String – to be screened at the SVU Congress on July 11, 2018 at noon, a GOH Productions’ documentary film about Czech puppet theatre in the United States (directed by Czech-American Michael Baumbruck) received a Golden Eagle Award from CINE (Washington, D.C.) and was screened at the Los Angeles International Film Festival and the Bombay Documentary Film Festival in 1995. Vít was featured in an evening event at Bohemian National Hall in Manhattan (NY) on May 30, 2018 – The Tradition of Czech Puppetry: More than Entertainment, organized by the New York Chapter of SVU with support of the Bohemian Benevolent and Literary Association (BBLA). Vít volunteers as Treasurer of our local chapter in New York.